Sometimes you may need to skip a workout but not want to delete it from your Workout Queue. Perhaps you've not eaten well that day and can't hit the leg day as hard as you'd like. Whatever the reason we wanted to make your plan flexible enough to quickly change it without damaging the overall plan. 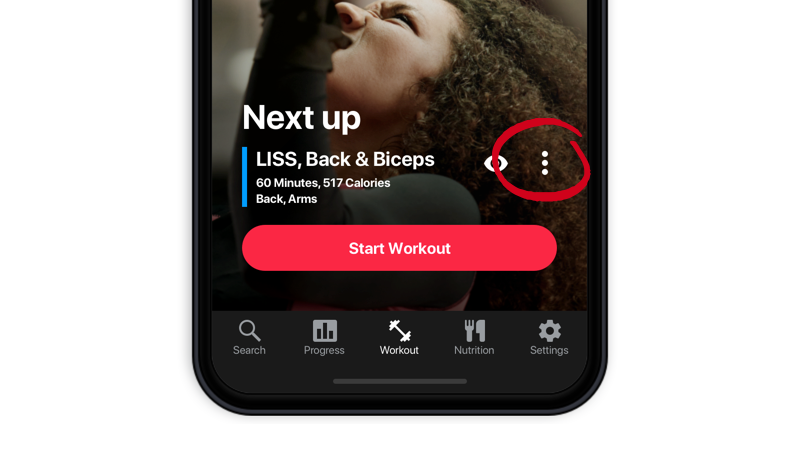 Tap the 3 white dots to the right of the workout name. 2. Choose Skip for now. 3. This will bring the next workout in your queue forward one place. 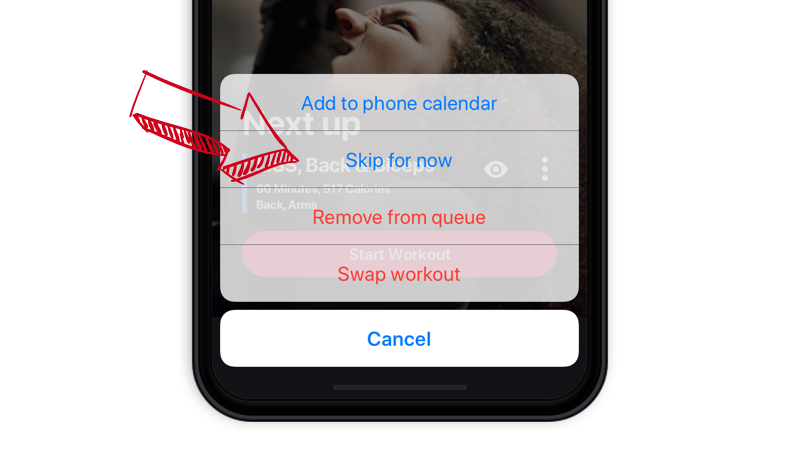 Note: We want to allow you to continue to skip ahead without losing any workouts from your queue. A future update will enable this. Right now you can only skip ahead one workout. Let us know what you'd like from this feature on chat.